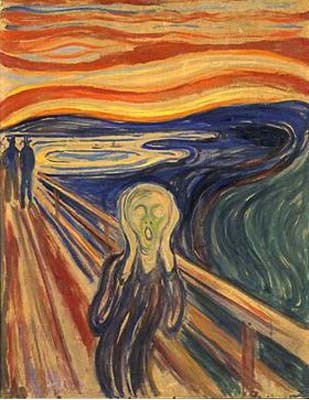 Wednesday 8th July-Market Wrap-The Scream!! | Beeks Downunder-Because not all financial news is boring! The Lord giveth and then he taketh away. 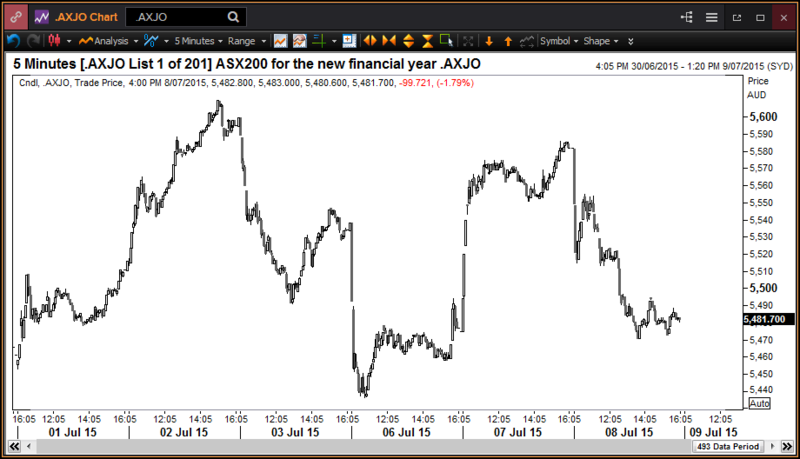 ASX200 down up 111.9.China smashed (again!). Commodities and AUD dumps. 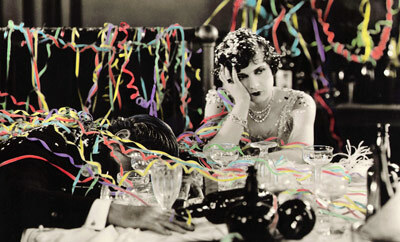 Dow futures down 150 points. What a difference a day makes as the plunge in commodity prices finally took hold. 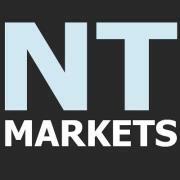 The market opened up relatively calmly following the ‘Greek Ultimatum’ of put up or shut up by Thursday with a fall around 35 points. However, once again we saw a collapse in China hitting our market hard mid-morning and from there it was uphill all the way. We tried to rally mid afternoon but once China reopened we closed on our lows down 112 points. On the opening, the Chinese market was down 8% on the futures, before another round of stock suspensions and soothing words, and brokers being told to buy the dips, helped things recover. Currently down 5.58%. This is the volatility of the market this financial year! Large falls on commodities last night set the scene in an already stretched market after yesterdays’ surprise rally. Iron ore dropping below $50 and the AUD falling below 74c was symbolic but 9% off the price of nickel and 4% off copper is pretty savage. The S&P GSCI–an index that tracks a diversified basket of commodities–is down 40% over the past year, and had fallen 7.1% this month alone. Hardly a surprise then that the AUD is on the nose. One of the reasons that the US markets rallied last night is the belief that due to all this uncertainty the Fed will keep rates on hold longer and push out the fourth quarter tightening to next year. With no inflation and GDP growth still hardly stunning, it is easy to make an argument for keeping the status quo for another quarter. Minutes from the Fed tonight will give us more clues. Resource stocks bore the brunt with BHP – 3.12%, RIO -3.25 % and Fortescue Mining (FMG) – 6.16% being really badly walloped. Yesterday was but a dream. Energy shares also came in for sustained selling pressure with Woodside (WPL)- 2.94 %,Santos (STO) – 3.25 % and mid cap cash box Karoon Gas (KAR) – 3.54%. Financials gave back some of the gains from Wednesday with falls of around 2% across the board.Macquarie Group (MQG) -3.77 % one of the big losers as were insurers AMP -1.71 %, Insurance Australia Group (IAG) -2.46 % and Suncorp (SUN) -2.24 %. REITs outperformed with far smaller losses with Scentre Group (SCG) + 0.78%, in the green for the day. Following on from a stunning performance at the Senate enquiry yesterday from CEO Christopher Kelaher, IOOF(IFL) -2.22 % resumed their downward spiral as concerns about reporting and culture plague this one. News today that Westpac Bank (WBC) -1.78% have joined the big banks, further tightening lending to housing speculators as authorities continue to fret about risks to the country’s hot property market. Westpac Banking the largest lender to housing investors, from Wednesday will limit loans to 80% of the value of homes being bought by prospective landlords, from 95% previously. At the same time, Australia & New Zealand Bank is capping its loan-to-value ratio at 90%, down from 97% earlier. In industrials, infrastructure stocks survived the carnage to some extent Asciano (AIO) -0.13 % but Transurban (TCL) – 1.52% and Aurizon (AZJ) – 4.92% fell together with Sydney Airports(SYD) – 0.91%. There were a few risers today, Webjet (WEB) + 11.15% being a big winner after updating the market on better days ahead with a $27m EBITDA up from around $24m. Webjet says total transaction values – or the price it sells travel products and services as an agent for airlines – surged 41 per cent to $646 million in the six months to June 30 thanks to solid rises in domestic and international bookings. 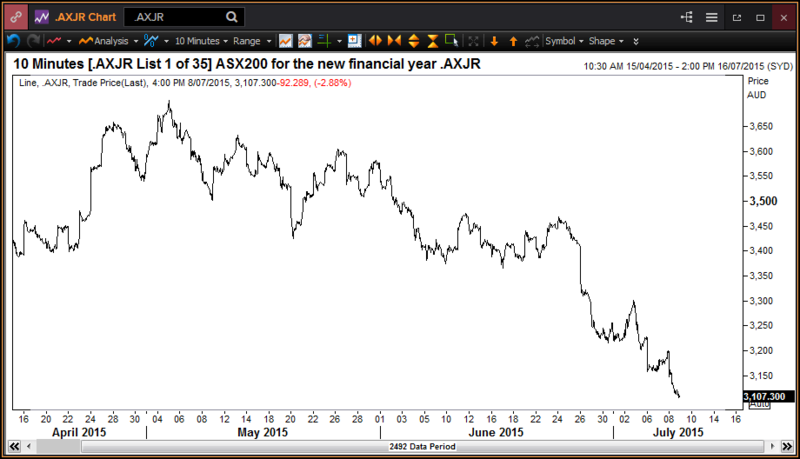 Another one swimming against the tide was Resmed (RMD) + 2.56 % benefiting from the lower AUD. Real Estate.com.au (REA) + 1.6% also in the green today, a surprise too. Yesterdays’ hero is todays zero with Prima Biomed (PRR) – 31.76% having been up 44% yesterday and now one of the biggest losers today. Fear and greed being played out on an industrial scale in Chinese markets. Today was the day it spilled over into other Asian markets as Japan threw in the towel, down 2.8%,The Hong Kong market down 4.2% and another horror day in Shanglow down 6% The Shanghai Composite has tumbled 32 percent from its June 12 peak, while the smaller Shenzhen Composite Index has lost 41 percent. The outstanding balance of margin debt on the Shanghai bourse fell by 93.5 billion yuan Tuesday, the most since the data began in 2010. Overseas investors have net sold 28.4 billion yuan of mainland shares this week, the most since the program began in November. 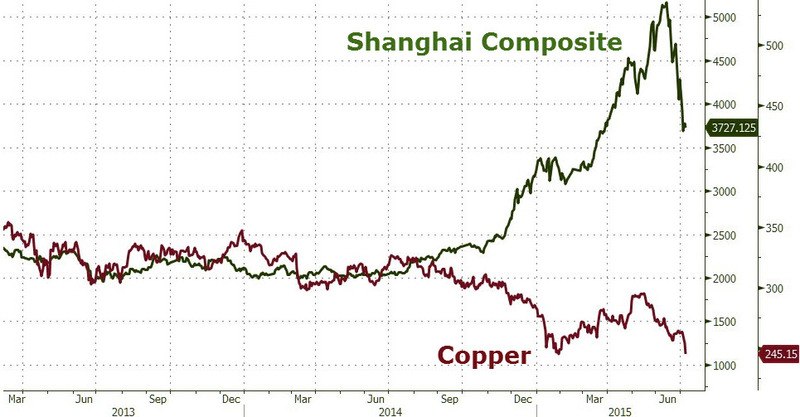 Remember though that Shanghai is still up 11% since January 1st whereas we are up 1.29% in the same time. Seems like the authorities in China though are burying their heads in the sand and hoping it will all stop if they just take their bat and ball and walk off in a sulk. Changing the rules of the game as you go along is ridiculous especially for the worlds’ second biggest hoping to be taken seriously. Today another bid to provide the illusion of stability as small investors exit the market with a further 660 companies asked for their shares to be suspended ahead of today’s market open. That takes the total number of companies suspended to 1429 out of the 2776 stocks listed in either Shanghai or Shenzhen, according to the National Business Daily. Trouble is if you can’t sell in Shanghai, try Hong Kong. Looking at the markets versus the copper price which has had some correlation in the past, there could be more pain to come. Expect more ramping up on the rhetoric front in the next few days in Europe with the Germans and the Dutch leading the hard-liners wanting to make an example of Greece. Nothing like a body bag on the runway to concentrate the minds of Spain and Portugal looking to renegotiate their debt packages. Seems even Euripides has some words for his fellow Greeks, ‘Whom the gods would destroy, they first make mad’. In the end the Greek crisis is all about politics. The IMF continues to lend to Ukraine and they are well and truly bust. So why not Athens? By Monday all should be clearer.